You are currently browsing the daily archive for May 1, 2010. 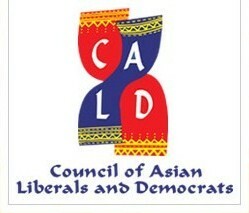 I am grateful to the Council of Asian Liberals and Democrats for agreeing to our suggestion that the first event for this year, with Sri Lanka taking over the Chairmanship of the Council, should be this Conference on Education. This is only the second event that CALD is holding in Asia over the seventeen years of its existence. The last one was in 2003, as part of the ten year anniversary celebrations, and I am glad that that event was followed by the recruitment of an associate member from Pakistan, the Pakistan Liberal Forum. I hope very much that this event will be followed by a further accession from Asia, with luck from India. India, like Pakistan and Sri Lanka, has had difficulties with the concept of Liberalism, since we all got our independence in the heyday of Socialism in Britain. That was the source then of the political philosophies of all our intellectuals, who dominated the discourse in the first few decades after independence, whether in acquiescence to the imperial enterprise or in rebellion. For this reason we claim to be a Democratic Socialist Republic, while India has gone one step further, and enjoined constitutionally that all political parties profess socialism. I believe Mr Bhutto too embarked on this path, and his concept of the all powerful state has continued in Pakistan to all intents and purposes, with often the added controls provided by a militaristic outlook.